Sea Gypsies – The Far Side of the World is Nico Edwards’ first feature-length film, premiering at Telluride Mountain Film Festival. After its international premiere at Banff Mountain Film Festival, it was chosen to tour the world in over 40 countries with the Banff on Tour and Ocean Film Festival on Tour along with about 30 other film festivals so far, where it has won a handful number of awards. 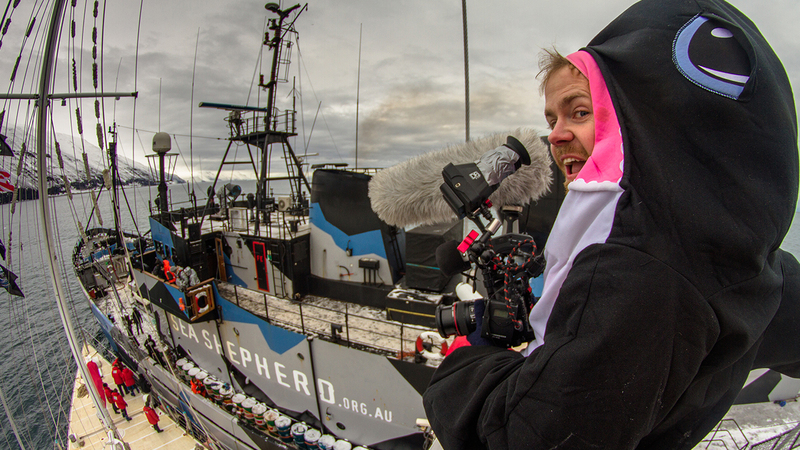 While filming in the harsh and unforgiving Antarctic ocean, Nico relied on his RØDE NTG3 shotgun microphone for his audio recordings. Specifically designed to withstand adverse environmental conditions, the NTG3 took the hammering in its stride. You can read about his adventures on the Cinema5D website here.